We’re excited to share how Gears of War 4 has been enhanced for the Xbox One X. Our new trailer showcases the wealth of graphical and gameplay enhancements that are only possible with the world’s most powerful console. We’re also excited to finally reveal the Preferred Rendering mode so you can play Gears of War 4 how you want! Get ready to experience unmatched clarity, richness and details with true 4K visuals (3840x2160) in our Visuals Rendering Mode. Even if you’re playing on a 1080p screen, you’ll instantly notice the difference thanks to a 4K super sampled image that brings you a crisper, richer looking Gears game than you’ve ever seen before. Put framerate first. 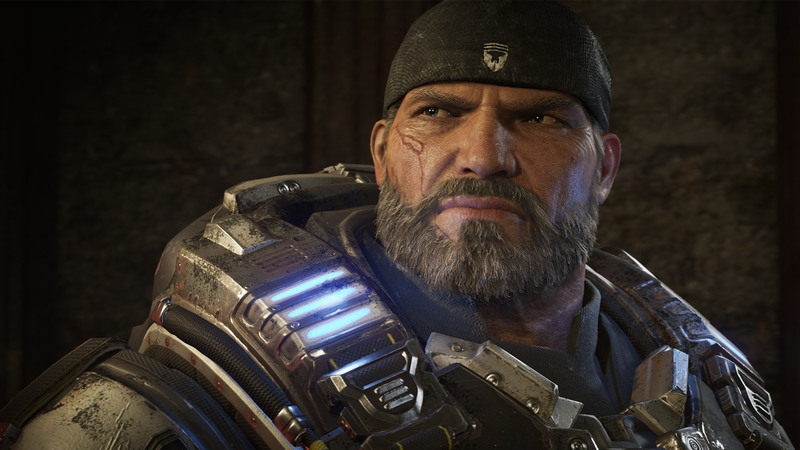 For the first time ever on console, Gears of War will play at up to 60fps in 1080p in Campaign and Horde - all including higher resolution textures and some of the new enhanced graphical features available in Visuals mode. Push graphical fidelity to the max. 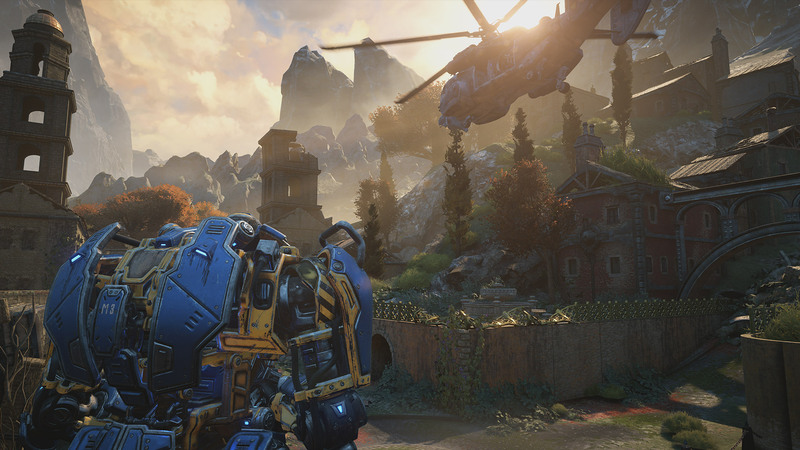 This mode uses Ultra Quality Textures, a wealth of new and improved graphical features all at 4K resolution (3840x2160) thanks to the power of Xbox One X. You’ll experience the same frame rates you’ve come to expect from Gears of War 4 – 30fps for Campaign and Horde . In both Rendering modes, Versus will run at a rock-solid 4K 60FPS (with adaptive resolution scaling). 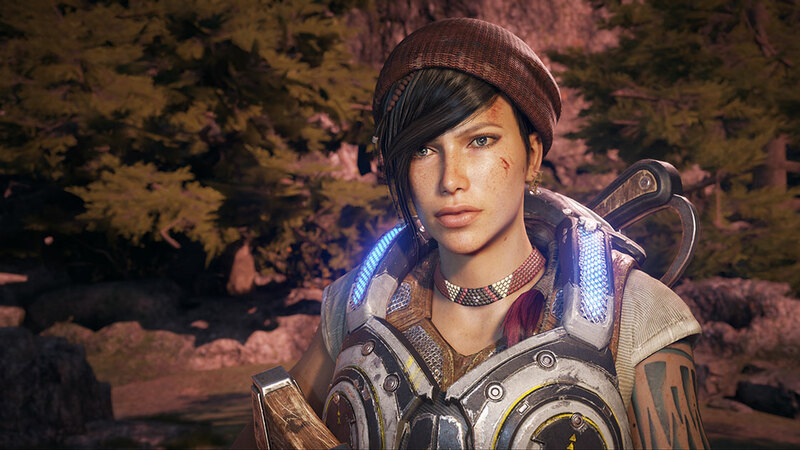 When playing Gears of War 4 on any Xbox One, we now offer support for Dolby Atmos and Windows Sonic, which gives you immersive, moving audio. The Dolby Access app lets you set up your Dolby Atmos enabled home theater, TV, or sound bar for free, and lets you try or buy Dolby Atmos for Headphones, which gives you immersive sound on any headphones. Experience the visceral sounds of Gears of War in a way that will make you feel like you’re inside the action, only on Xbox One. The world of Sera has never been more immersive thanks to brand new features and higher resolution textures – all possible with the additional horsepower and memory offered by the Xbox One X.
We’ve pushed our surface space reflections even further to look closer to as you would expect in real life. Reflective surfaces now have a higher definition reflection of your character - whether that’s in a mirror-like reflection of water, or the muddied color reflective nature of metal. It looks especially awesome on the DeeBee’s metallic armor! Experience this all at no extra cost for Gears of War 4 owners when you pick up your Xbox One X. And, if you’ve picked up the Xbox One X but haven’t jumped in to Gears of War 4 yet, you can try it FREE now with our 10-hour trial – the perfect showcase piece for your new super-powered console. We’re incredibly proud of what the team has been able to achieve on Xbox One X so far. We can’t wait to see you all experience this feast for your eyeballs!